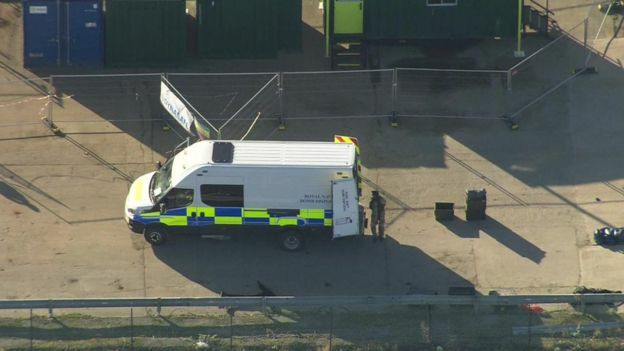 London City Airport has been closed after a 500kg World War Two bomb was found nearby in the River Thames. 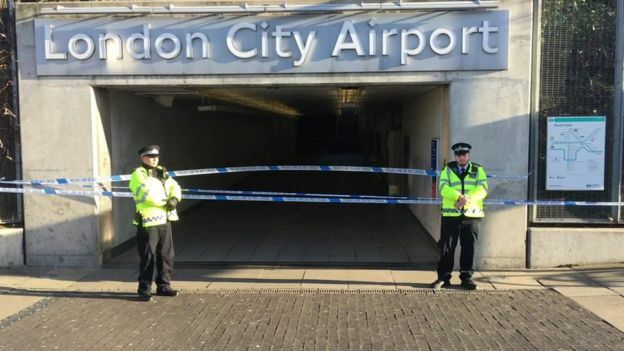 The bomb was found at George V Dock on Sunday during planned work at the east London airport, police said. Families in the area have been evacuated with the exclusion zone set to be widened when specialists begin removing the device. The airport was shut at 22:00 GMT on Sunday. 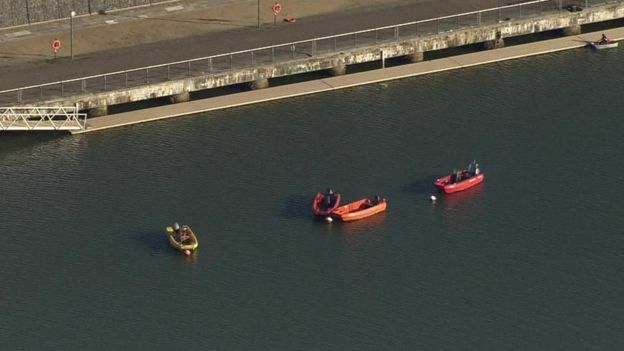 The Met Police said it was working with the Royal Navy to remove the bomb. According to the airport’s website, a total of 261 arrivals and departures had been scheduled for Monday. “All flights today are cancelled but some airlines have moved their flights to other airports – CityJet to Southend and Alitalia to Stansted”, the airport said. Passengers have been told not to travel to the airport as the terminal is closed and to contact their airline. Among thousands of passengers affected were Tottenham Hotspur fans heading to Italy for a Champions League game against Juventus. The north London football club advised any fans flying to Milan to “contact their airline as soon as possible”, ahead of the club’s match in Turin on Tuesday. However, he discovered on Monday morning that his flight was cancelled. British Airways has now booked him onto a new flight on Tuesday, he said, but he is disappointed he has lost a hotel night in Turin. “I woke up this morning to discover that the airport’s shut and all the flights are cancelled,” David said. 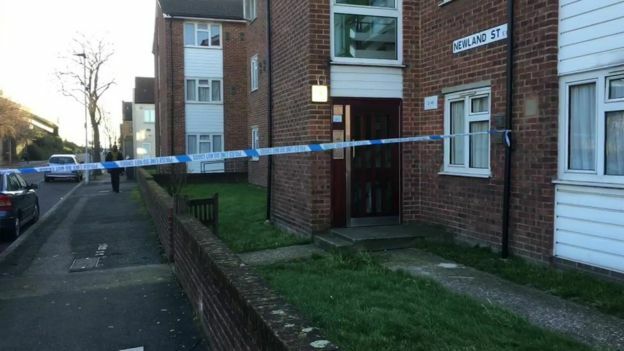 The device is a German 500kg bomb, measuring approximately 1.5m (59in), according to specialist officers and the Royal Navy, Newham Council said. Robert Sinclair, CEO of the airport, apologised and said: “I recognise this is causing inconvenience for our passengers, and in particular some of our local residents. Members of airport staff are on Hartmann Road, the main route to the airport, to help redirect people. Airlines using London City Airport include British Airways, Flybe, CityJet, KLM and Lufthansa, with flights to domestic and European city destinations. Police said a 214-metre exclusion zone had been set up and properties inside were evacuated. A rest centre has been opened by Newham Council to provide bedding and refreshments for families who have been affected. One passenger arriving at the airport had been hoping to board a flight to Milan. 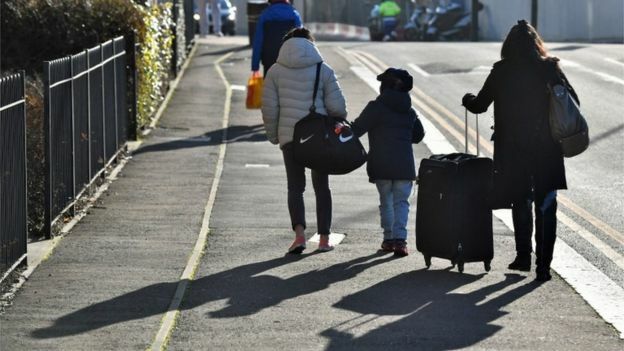 “We don’t know what to do”, the passenger told BBC London. Streets affected include Holt Road, Leonard Street, Lord Street, Newland Street, Tate Road, Muir Street and Kennard Street. When work begins to lift and remove the device, the exclusion zone will be extended to 250m and more properties will need to be evacuated, the council said. “While we endeavour to progress the operation as quickly as possible and minimise disruption, it is important that all of the necessary steps and precautions are taken to ensure it is dealt with safely,” the Met said. Police said a number of road cordons were in place and advised motorists to avoid the area. Docklands Light Railway services between the airport and Woolwich Arsenal have also been suspended. Passengers have used social media to express confusion and frustration following the closure. Flight to Dublin from @LondonCityAir cancelled due to a WWII bomb, looks like I’ll be working in London today then. Twitter user Richard Macey talked about his Dublin flight being cancelled. Another user said they were attempting to book a new flight to Aberdeen. People have been arriving at London City Airport DLR station – many with suitcases and some unsure about what is happening. I’ve managed to get into a tower block in Silvertown – directly opposite the airport where 15-20 police vans are blocking each entrance to the estate. From the tenth floor I can see the runway – which is empty. On a usual Monday you’d expect a plane landing every 20 minutes. I saw about 10 British Airways planes grounded at the airport. Between September 1940 and May 1941, the Germans dropped about 24,000 tonnes of explosives on London – but 10% of all bombs that dropped did not detonate, according to historians. 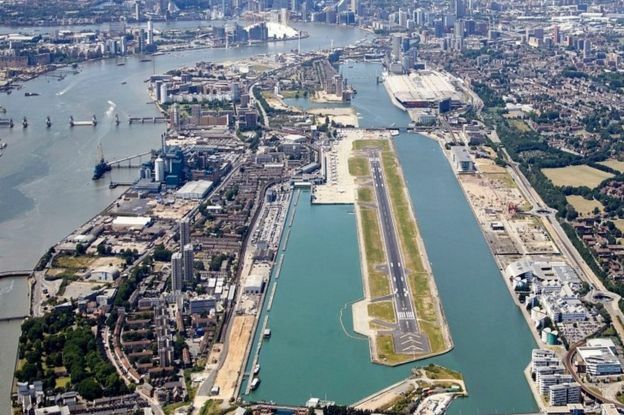 Last year, more than 4.5 million passengers used London City Airport. A £400m expansion was given the go-ahead by ministers in July 2016, which includes extending the terminal.